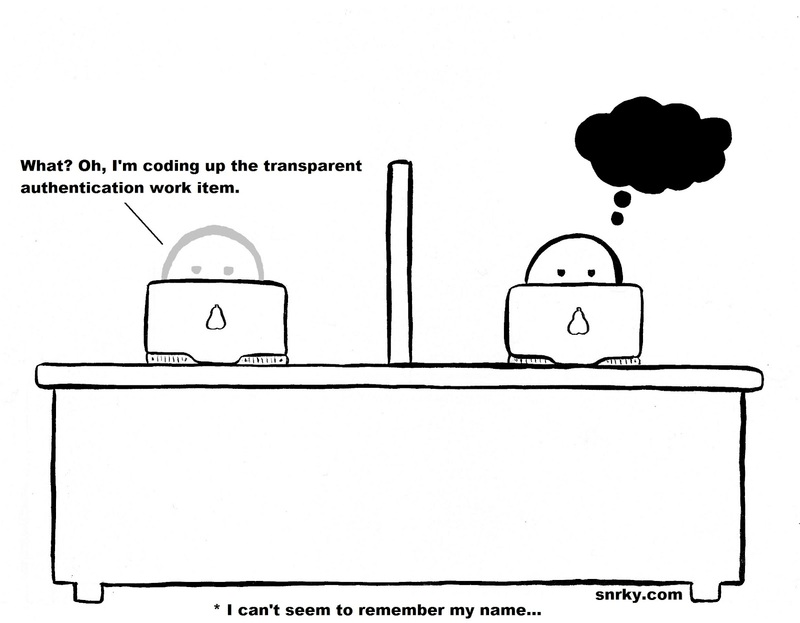 Transparent Authentication is one of those pieces of code - or at least setup - that developers run into over and over again. Seems like you can't go more than two projects without having someone worry about whether customers can get to all their products via the same signon, even if those products are completely unrelated. It sometimes feels like it's the business unit version of precautionary programming - e.g. "But we might need to let those customers cross products some day." Follow agile and leave it until that happens - there might be a much better way to do it by then. Maybe even a way to do it for free. "I have repeatedly been confounded to discover just how many mistakes in both test and application code stem from misunderstandings or misconceptions about time." Snarky: What? Oh, I'm coding up the transparent authentication work item.